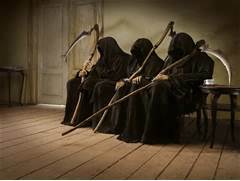 WASHINGTON, D.C. 5/15/16 – When Sarah Palin first spoke out against Obamacare, stating that it would result in death panels, the communist liberals were all over it, declaring that this idea was pure clatter spread by Republicans who are "filled with hysteria and conspiracy theories." Really? This writer, with excellent D.C. resources, also wrote what Obama's intentions really were with his health plan. The democrats scoffed, trying to throw Americans off the scent of gulag type control and evil with which they plan to enslave the population in general. Once again, this column is compelled to say, we told you so! Obama has just declared that there must now be cuts in Medicare. Hospitals should cut back on treatment for seniors to save money. According to journalist Betsy McCaughey writing for AOL,"those hospitals were instructed to skimp on senior care." You read this right. The hospitals that spend the least per senior, receives a bonus, or bonuses from Obama. To make the Democrat/Communists' agenda clear, they will rob Grandma and Grandpa to pay for new entitlements for young people while being assured that they vote the 'proper' way. This is fact. But wait! Didn't Obama promise that cutting Medicare would not hurt seniors? Yep. He also said that if you liked your health care you can keep it and if you like your doctor, you can keep him or her. Not only has Obama dictated the amount of care a patient can receive (under his plan), but he has also overhauled how Medicare pays doctors and hospitals. Now he's telling how much doctors should earn for their skills. Meanwhile, patients get fewer tests, see fewer specialists, and go directly home from the hospital without recuperating at rehab. I did a much earlier story on the 'death panels,' on May 6, 2013, which democrats tried to silence. It can be found at this link: http://www.renewamerica.com/columns/miles/130506 Take a look at it and check out the other links provided in that story which are important. It is up to us to flood the House Speaker and congressional leaders with mail, emails and phone calls to insist upon this. This way none of the laws and actions Obama has taken will have any validity and can be taken down. To impeach him serves to validate him as President of The United States, which he is NOT. He was never even qualified to run for office. He was PUT there by George Soros and his henchmen. It was a silent coup d'etat. Here is another FACT to encourage action be taken now. 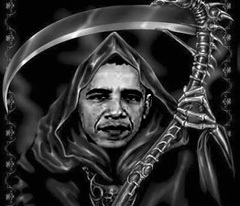 Obama plans to have a crisis as we approach November and to use that to execute an Executive Order to declare himself President for Life. This is why the action suggested should not be delayed. Please don't have me write another story in November headed; "See, told you so."